Connie assists our Managing Director and the team in general with a wide range of administration, research and resourcing matters. Connie came to Austen Lloyd after spending three years with a Legal 100 national law firm and is thrilled with her fast paced and varied role as part of the team here. 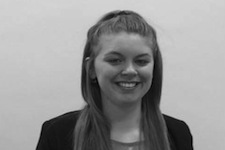 She is keen to build strong, lasting relationships with our Clients and Candidates.